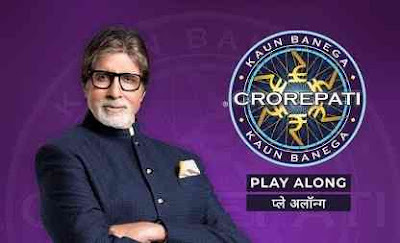 Play and Win Prizes Kaun Banega Crorepati (KBC):- Kaun Banega Crorepati is the reality show currently telecasting on SONY TV and streaming live on SonyLIV App. As we all are aware of this thing that KBC Play Along on Mobile has been already introduced on JioChat App. But now they have completely change the app & now you can "Play Kaun Banega Crorepati aka KBC Play along" on "SonyLIV". This is official app for playing KBC Play Along 2018 on the Mobile. SonyLiv app has already trying hard to deliver the "Play Along On Mobile" concept on their two best shows which are Dus Ka Dum Play Along & India Ke Mast Kalandar Play Along. Play Kaun Banega Crorepati on SonyLIV App:- On the SonyLIV app, you can Play this KBC 2018 game live on without doing anything. Just download the KBC SonyLIV App on your Mobile Phone. Install the App and Start Playing Live "Kaun Banega Crorepati on your smartphone". There isn't any trick to do anything apart just downloading the app and then start playing kbc on mobile. Apart from answering the questions of KBC LIVE GAME 2018 on your Mobile Phone. You can also get a chance to earn some best prizes. That's why we are naming it Play and Win Prizes on KBC. That is known as "Play-along KBC on SonyLIV App". Like you have been playing for "Sabse Smart Kaun" Game Show. On the Kaun Banega Crorepati (KBC) 2018 you can answer the questions live from your smartphone. If you'll be able to answer most of the questions correctly then you can win some best prizes. Most of the users are trying hard to get to reach the hot seat but they are able. So if they are interested to check their knowledge by giving the correct answer live right from their home using their Mobile phone. Then they can "Download KBC Play Along App" on their phone and can answer the questions. How To Register For Kaun Banega Crorepati (KBC) 2018 on SonyLiv App? So if you want to "play Kaun Banega Crorepati" on your Mobile phones. First, you need to download the "Kaun Banega Crorepati App" to play this game live that has been telecasting on SONY TV. Kaun Banega Crorepati (KBC) App is known as SonyLIV App. Yup! You only need to download the SonyLIV App on your Mobile Phone to play Kaun Banega Crorepati quiz game. So download the SonyLiv App aka Kaun Banega Crorepati App to play this game online sitting at your home. First of Download the Kaun Banega Crorepati App i.e. SonyLIV App. After this Open the SonyLiv App and Click on the Banner of "KBC Play-Along" or "Kaun Banega Crorepati". After this, it'll ask you to enter your E-mail ID. Login or Sign Up with your E-mail ID. After this, you'll be able to play "Kaun Banega Crorepati" Live on your Phone. How To Play & Win Prizes On Kaun Banega Crorepati (KBC) on SonyLIV? Kaun Banega Crorepati is easy to play on SonyLIV App. Just be active at the right time when the game starts. Open your SonyLIV app & wait for the question to appear on your Smartphone's screen. Now you have to select the right option by selecting the correct option. For every right question, you'll get some points that you can see on the Leaderboard. Later you can get some rewards by collecting the points. Remember this the game is based on your General-Knowledge. Open the Kaun Banega Crorepati App aka SonyLIV App. On the Dashboard of the SonyLIV App, you'll see "Participate Now" Option. After this Click on "Play Now" option and Login with your E-mail ID. Enter again your E-mail or Number and It'll ask few questions related to you. After this, you'll be ready to "Play KBC Play-Along" on your Mobile. Wait for the question to appear on the Mobile Screen. Choose the correct answer and start playing. What are the Rules for Playing Kaun Banega Crorepati on SonyLIV App? Rules of Playing Kaun Banega Crorepati on SonyLIV is simple. As we have told you earlier in this same post itself that you have to wait for the live game of KBC play along on your mobile. Apart from this Kaun Banega Crorepati will be streaming live on SonyLIV App. After opening the SonyLiv App you'll see "Participate Now" and then followed by this you'll see "Play Now" option. Just click on this and wait for the questions to appear. Be quick, read the questions carefully and then select the correct option. For every correct answer, you'll get some points. With every wrong answer, you'll get zero points. Now you must be wondering on how much points you need to win prize? How Many Points Do you need to get Prizes on Kaun Banega Crorepati (KBC) SonyLiv? According to their rules, you need to score higher for every correct answer. Suppose that you have given the right answer for the questions in less time then you'll be able to get higher points. The more you answer the questions correctly there will be more chance to earn high points. Make sure that you answer the questions in minimum time. If you got the highest points in Kaun Banega Crorepati Play-Along Game show then your winning vouchers will be sent directly to your Email Address. In KBC Play-Along Game show you can check your winning points or your progress by seeing the Leaderboard of KBC Play-Along Game. That's how you can check your progress by seeing the "KBC Play-Along Leaderboard". If you are seeing yourself on the top of the Leaderboard then be assured that you are surely going to get your winning prizes. As you know that, we have already shared all the rules to play kaun banega crorepati kbc play along on SonyLiv App. Now you have been thinking that how much points you need to score to get some prizes from KBC Play-Along. So you can see the Leaderboard of KBC Play-Along on the SonyLIV App. We are providing the points system where you can see how much points you'll score for your every correct answer. So it's better to know when to answer the questions correctly on KBC Play-Along on SonyLiv App.